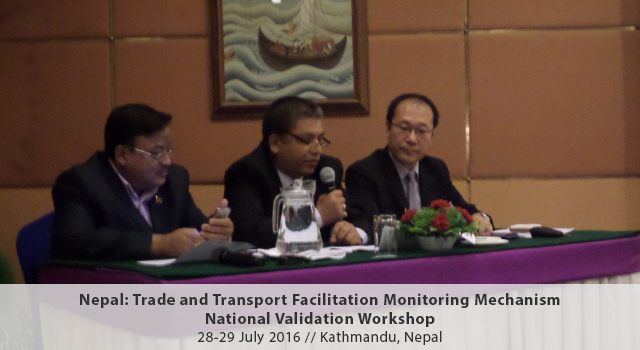 The Nepal Ministry of Commerce and Supplies, in collaboration with the Asian Development Bank (ADB) and the United Nations Economic and Social Commission for Asia and the Pacific (UNESCAP), held a National Validation Workshop on 28-29 July 2016 in Kathmandu, Nepal, to present to stakeholders preliminary study results and findings from studies conducted under the Trade and Transport Facilitation Monitoring Mechanisms (TTFMM) in Nepal. Discussed key bottlenecks in trade facilitation. Mr. Naindra Prasad Upadhaya, Secretary, Ministry of Commerce, Nepal delivered the opening remarks, where he emphasized the importance of TTFMM in enhancing trade facilitation in Nepal, and in implementing the SASEC trade facilitation strategy and the Bangladesh-Bhutan-India-Nepal Motor Vehicles Agreement. 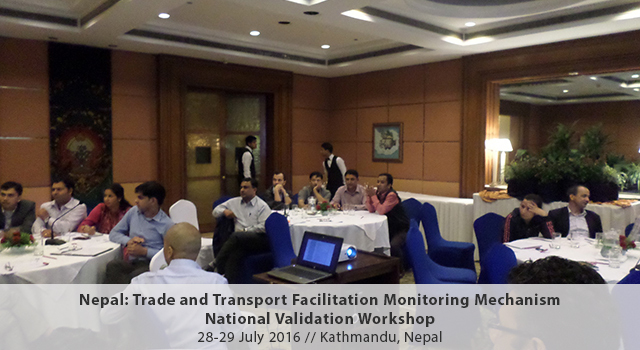 More than 30 participants from the Government and private sector attended the Workshop, including members of Nepal's NTTFC. 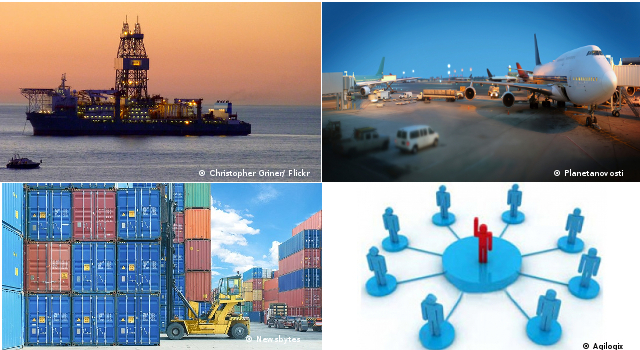 The TTFMM is an integrated monitoring system that tracks the progress of transport and trade facilitation in Bangladesh, Bhutan, and Nepal to optimize trade and transport processes. 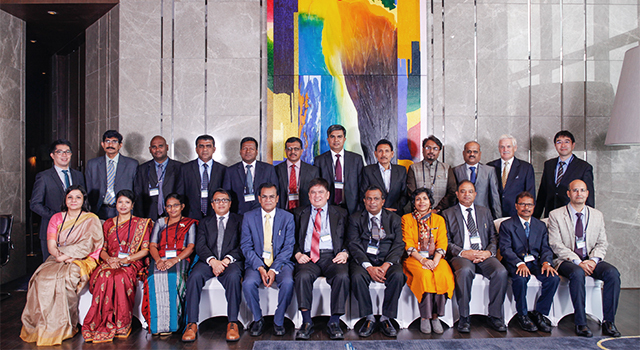 The scope of the baseline studies of TTFMM were decided through a series of regional and national training workshops held in November 2013 (Bangkok, Thailand), in March 2014 (Phuentsholing, Bhutan), and in April 2014 (Dhulikhel, Nepal, and Dhaka, Bangladesh). Since 2014, ADB and UNESCAP have been supporting Bangladesh, Bhutan, and Nepal in establishing sustainable TTFMM, in close collaboration with the relevant national trade facilitation committees and/or lead agencies. 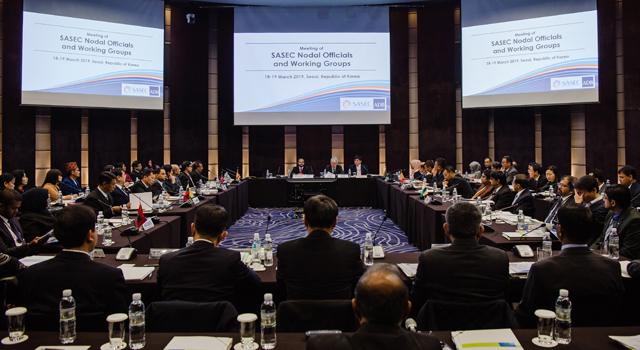 The TTFMM is part of the SASEC Trade Facilitation Strategy 2014-2018.